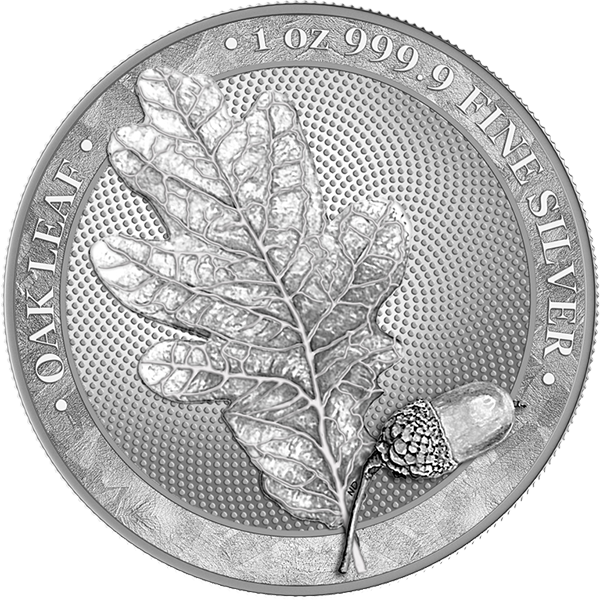 OAK LEAF - Germania Mint Bullion and Commemorative Coin Manufacturer. Since the dawn of time the oak tree has made a great impression on people, both due its longevity and impressive appearance. The Germanic peoples also treated the plant with greatest reverence. 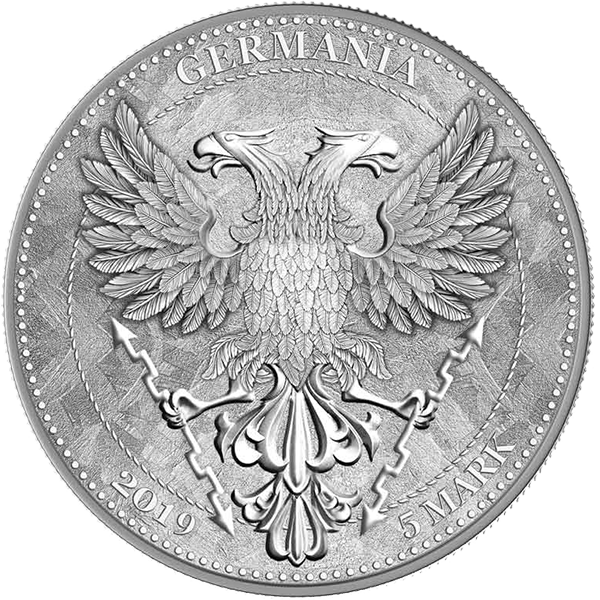 A wreath of oak leaves on the head of Germania symbolizes loyalty, stability and national unity. In the past, only people who wielded enormous power – spirit, muscle or magic, could wear it. Germanians worshiped the oak and believed that ghosts and gods lived inside it. They even sacrificed the tree to Thor – the god of storms and thunderbolts. It resulted from the observations that lightning struck the plant more often without doing any serious damage. Its fruits – acorns, were responsible for fertility, which was one of the magical abilities of an oak tree.